MAUI, Hawaii — Regrets, he’s had a few. But say this about Don Nelson, the retired basketball coach: He definitely did it his way. On the way to 1,335 regular-season victories (a record), basketball’s mad scientist rocked pink fish ties on the sideline, quaffed Bud Lites at news conferences and helped change the way the game is played with “Nellie Ball,” a guerrilla-warfare strategy built around speedy, undersize lineups. With the N.B.A. 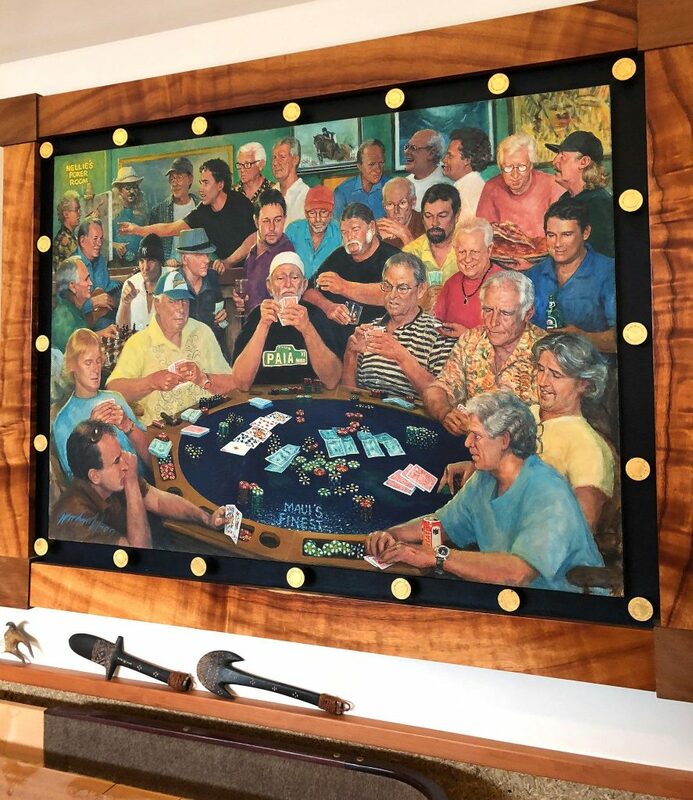 playoffs underway, we caught up with Mr. Nelson in his cavernous poker room, a Hall of Fame-caliber man cave where he hosts the island’s most exclusive poker game with Willie Nelson, Woody Harrelson and Owen Wilson. Inside the paint, outside the box — there is only one Nellie. So this is where those big games go down with Willie, Woody and Owen. How big are the pots? They can get up to $2,000 to $3,000, especially when Willie is in. He never saw a card he didn’t like. He raises every time, no matter what. Every time it goes by him, it’s $50, $50, $50. I’m conservative. But Willie, man, he’s wild. Woody is wild. Owen’s pretty good. Woody’s a terrible card player. Pretty good chess player, though. Oh, very good. Play you fast or slow. That’s a serious shuffleboard table you have here. Do you guys play for money? Yeah, I’d say so. I’ve paid for that shuffleboard table at least 10 times over. Have you been into cannabis for long? No, I didn’t smoke until maybe three or four years ago. I never smoked when I was coaching. I just started. Willie got me smoking. He would do it. I didn’t think I’d ever be a pot smoker, but hanging out with Willie and Woody and guys like that, you know, everybody smokes in those games. It just became kind of natural. Usually you’re smoking with your friends, sitting around, telling stories, you smoke a bowl. It’s not that I smoke all the time. I usually just smoke at night during poker games. Like Willie told me, it’s hard to be depressed when you’re smoking pot. How do you like cannabis compared to alcohol? I don’t drink anymore, because I like pot better. It’s about the same as alcohol, except you don’t have the aftereffect. There’s no hangover. I mean, I don’t drink to excess, anyway. But you know, even if you have a couple of drinks, you’re liable to have a headache in the morning. On your farm, do you grow cannabis for dispensaries? No, I just grow for myself. You’re allowed to grow up to 10 plants, so you have plenty to smoke. I’ve never sold. I would never do that. This entry was posted on Wednesday, May 2nd, 2018 at 10:13 am and is filed under Interviews, marijuana, NORML, hemp. You can follow any responses to this entry through the RSS 2.0 feed. You can leave a response, or trackback from your own site.